The Seattle Mariners had a weird 2018 season, winning 89 games but producing a negative run differential and finishing third in the AL West, eight games back of the last Wild Card. The glass-half-full view on their season highlights the wins and the respectable jump they made up the league standings from 2017; the glass-half-empty view is that the Mariners were a middling team that over-performed both its run differential and its expected run differential, found itself in a playoff hunt where it otherwise had no real business, and got more or less what it deserved. The Mariners have integrated most of the holistic concepts into the major league clubhouse as well, but with the franchise in a rebuilding phase—or, as one executive, using the Mariners’ preferred language, put it, “pushing pause on the major league winning continuum”—the emphasis is on building a foundation with the younger players who will populate the big league roster when the team is ready to contend again. As the catchers squatted and practiced catching fastballs from an angle — originating 30 feet above — that they had never had reason to contemplate and chased down the ones that got away, Arnerich explained that was precisely the point. As high-minded as some of the concepts may be, grounded as they are in the philosophy of wellness, the Mariners are in the business of winning, and they make no attempt to hide their ultimate motive. Yes, they want to create better, more complete, more empathetic humans. This is a useful reminder that “Moneyball”—the analytics revolution that introduced the extremely basic idea of market inefficiencies to baseball—was not an observation that getting on base is very important. Everyone already knew that. The novel part was about the observation that certain traits important to winning are undervalued, and that a cheap team can become good by emphasizing those traits and without paying players what is normally considered fair value for contributing to wins. 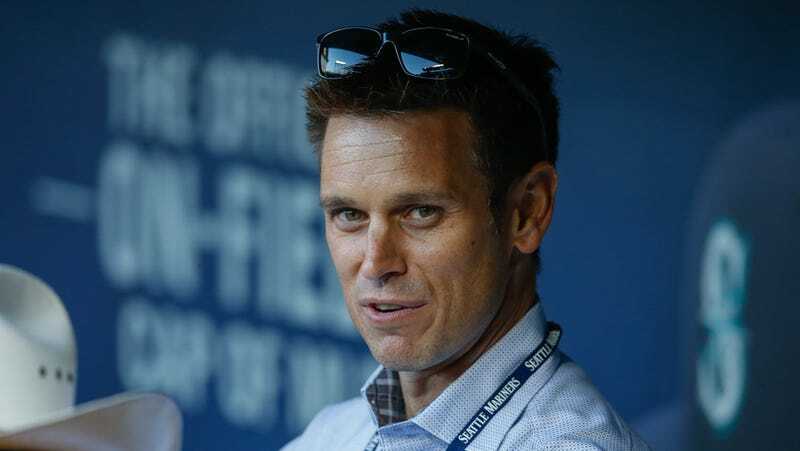 The Mariners certainly seem to want to appear as if they’re hot on the trail of their own revolution, and are evidently fine sitting out at least this season while this new direction takes hold throughout their baseball program. Then, theoretically, it’s just a matter of waiting for all that enlightenment to percolate up through the system. It’s hard to buy that anyone in that organization particularly believes that teaching the players to make quinoa enchiladas would be as helpful to the team in terms of wins and losses as, say, buying up Bryce Harper and Manny Machado for the next decade might have been. But faced with the choice, the Mariners would prefer to see if they can become competitive by asking a coach to lug a pitching machine up a 30-foot tower than by doing boring, old-fangled things like identifying and recruiting and paying the best baseball players. They had all winter to do the latter, and they spent it doing the former.